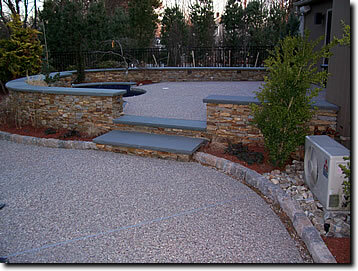 Stephen's Masonry, Inc. : Superior Quality Concrete and Masonry Work. Stephen A. Feole II, has over 20 years experience in masonry and construction. He is a second generation mason. He started working in the trade at the age of 16 with his father, then started his own business in 1995. A true craftsman, he takes pride in superior quality work and satisfying his customers. He is on the jobsites working along with his crew. He finds it a welcoming challenge to solve his customers' problems. We are fully licensed and insured with general liability and workers' compensation coverage. Our employees are OSHA 10 certified. and takes seminars to continue to educate himself and crew with the new products and techniques of the trade.